The Identical is the story of identical twins, secretly separated at birth. In 1935 Alabama, an out-of-work man and his wife become parents to twin boys. They are unsure how they can afford to parent both of them. That night, the father attends a church service where the preacher requests prayer for himself and his wife – for they have been unable to conceive. Believing God has provided an answer for both situations, the father suggests to the mother that they should give one of the boys to the preacher and his wife. Although the mother protests, she quickly agrees, and the next day, the preacher and his wife secretly take one of the boys to raise as their own. 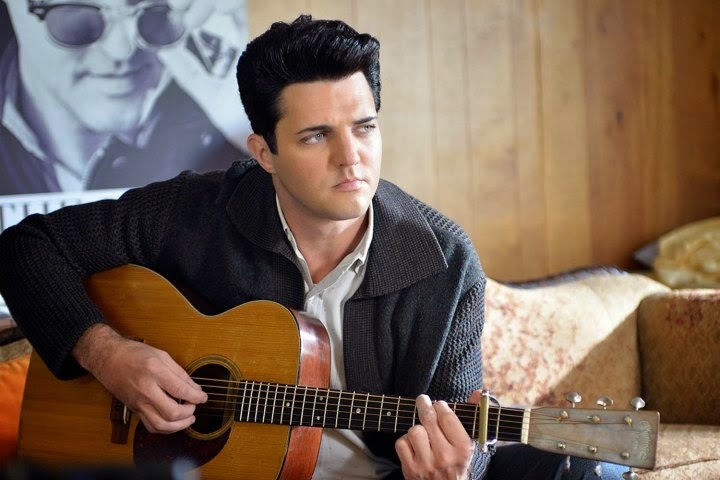 The boys are kept secret from each other; however, approximately two decades later, the boy raised by his parents has become Elvis Presley (in the movie, his name is Drexel Hemsley and he lives at a home named something similar-to-but-not-actually Graceland, and the songs aren’t actually Elvis songs, but, it’s basically Elvis.) Drexel’s missing brother, Ryan Wade, continues to be raised by the preacher and his wife, who anticipate him becoming a preacher. However, Ryan finds that he has a strong disposition to music, and his friends and neighbors can’t stop commenting on how much he looks and sounds like Drexel. 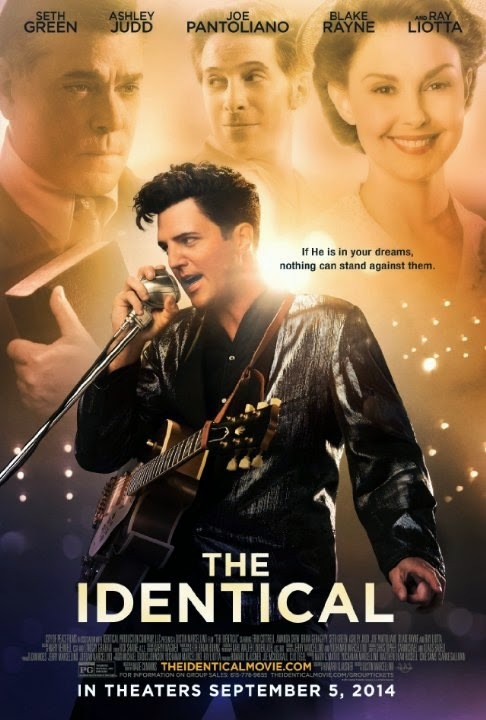 The Identical is an adoption story. The actor who plays theadoptive father expressed that he took the role because he was adopted. But the Identical is a story of a secret adoption. The preacher and his wife have strong emotions of sorrow relating to their infertility, expressing “My wife and I miscarried again… Of all the gifts [that God gives, a baby] is the one we wanted most. All of our dreams were of having a baby, a family of our own, to love and take care of.” The father of the twin boys suggests that giving away one of his sons is the only option, “There is no work. They’ll take [the boys] away if something happens.” Their mother protests, “I’m not giving away my babies,” but the parents ultimately decide “We could make it with one.” Initially, the preacher and his wife decline the couple’s offer, but the father of the boys explains, “It’s God we’re really giving him to; it’s what the Lord wants. We both know it.” Eventually all parties agree, and the preacher’s wife promises the boys’ mother, “I’ll love him good, for both of us.” Before the preacher leaves, the boys’ father makes him swear that this will be a secret from both boys until both birth parents die. The next day, Drexel’s parents hold a funeral for Ryan, burying a small box that, known only to them, is empty. Years later, in a moment of crisis, Ryan learns the whole truth of his story. His adoptive father apologizes for the secrecy. Ryan forgives him, and embraces both fathers as his own. However, he was tragically close to his birth brother and birth mother, but never realized their relation to him until after their deaths. The Identical serves as an example of how some traits are passed genetically – Ryan looks, sounds, and thinks like Drexel. 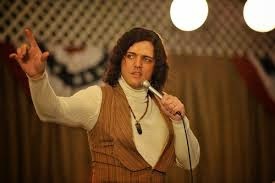 In fact, Ryan becomes “The Identical,” and is paid to perform in the style of his brother. Ryan and his wife struggle with infertility; a doctor has told them that they will “never have one of these precious gifts.” This is particularly sad because Ryan’s wife works as a nurse in a maternity ward. However, they become pregnant by the end of the film. Ryan sees his father have a heart attack, and feels guilty because the heart attack came in the middle of an argument. While searching for pills to help save his father’s life, Ryan discovers the letter his birthparents had written for him, to be given to him after their deaths. The letter tells Ryan that it is “time for you to know who you are,” it affirms that his parents love him, it asks for forgiveness, and tells him “we’ll see you in Heaven.” When Ryan’s father learns that Ryan found the letter, he weeps bitterly from the pain of secrecy. Ryan chooses not to see him in the hospital, but instead seeks out his birthfather. He finds his birthfather at the family gravesites. His birthfather is weeping, mourning the fact that he is unforgiven for giving away his son, and he is overjoyed to finally and unexpectedly be reunited with his son. Ryan then returns to his father the preacher, and tells him “Thank you, and I mean thank you, for everything, and I mean everything.” Ryan’s adoptive father affirms, “You are my son, and you are more than I ever dared pray for.” And just like that, everything is seemingly OK. Ryan continues to perform as a Drexel lookalike without ever publically revealing his family connection. By the end of the film, secrecy has developed into confidentiality, which is healthier. In addition, we see the strong pain caused by secrecy, as both fathers grieve. However, the film doesn’t seem to explore the pain that Ryan would feel about having this secret kept from him. He just kind of gets over it. And that doesn’t seem so realistic. Secrecy surrounding Ryan’s adoption is profoundly present. His adoptive parents try to hide the truth from him, even though it pains them to do so. When Ryan does learn the truth, he seems unrealistically undevastated; his recovery seems far more quick and complete than I’d expect. 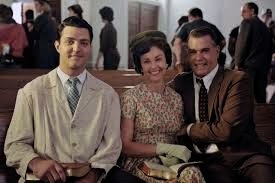 How did the adoption of Ryan impact each character: Ryan, the preacher, the preacher’s wife, Drexel, Drexel’s mother, and Drexel’s father? How did the secrecy in the adoption impact each character? What appeal does secrecy have, even today, in adoption? What harm might it cause?